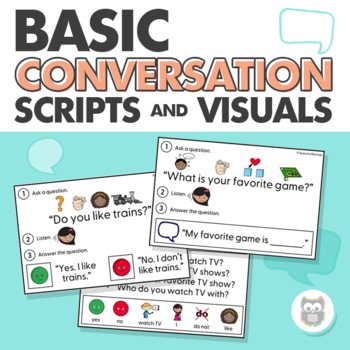 This packet is perfect for students with autism or low-language skills who need to work on basic conversation skills including using greetings (hi, bye) and asking and answering a variety of basic questions. It also works perfectly to target language and sentence structure for question and sentence formulation. This packet is leveled so it can work with students at a variety of levels and as they grow and make progress. 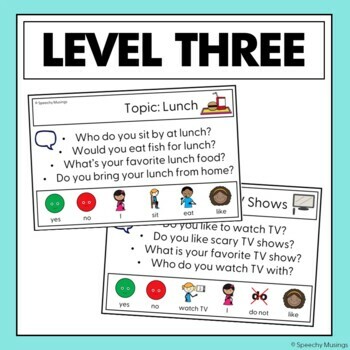 **Each question type includes 1 blank card so you can customize it with specific questions for students you work with! Each level naturally progress in difficulty, however feel free to mix and match levels based on what is most appropriate for your students. 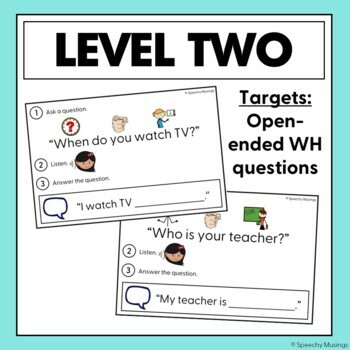 In addition, I've included visual cards for greetings, reflection sheets, and a basic visual for the first question type (Do you like...). Please download the preview file to see examples of what is included in this amazing packet! 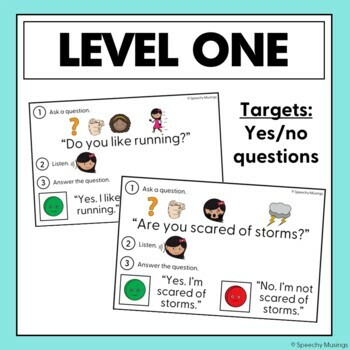 •Describing and Solving Problems - Visuals, activities, and more for working on emotional regulation and problem solving! Click on any of the links below to check out my website and social media pages! ♥ I love sharing ideas and connecting with all of you!